It has been confirmed today that 48 watches worth £132,000 were stolen at a burglary in the city centre last week. 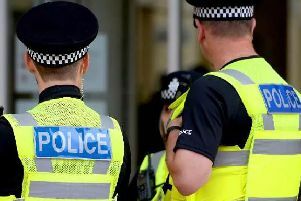 Five balaclava-wearing men with two crowbars and a sledgehammer broke into a city centre jewellers before leaving on bicycles, police have said. Officers received a call from a member of the public at 11.08pm on Friday to report a group of five men breaking into Ernest Jones in East Street, Chichester. Glass in the shop doors had been smashed. Police said a member of the public followed the group but lost sight of them in Little London. Detective Sergeant Alison Hutchings said: “A couple of alert members of the public were able to quickly inform us about the break-in, allowing our officers to quickly attend the scene. “The brave member of the public who followed the group was threatened by the men but luckily, was not harmed. She added: “We are urging any witnesses or anyone with information about this group, who were wearing balaclavas over their faces, to make contact with us and aid our investigation. Witnesses should call 101 or Crimestoppers 0800555111 quoting reference 1579. Peter Wood, 40, of Violet Road, Southampton, has been charged with aggravated burglary and threats to kill and will appear in court next month.